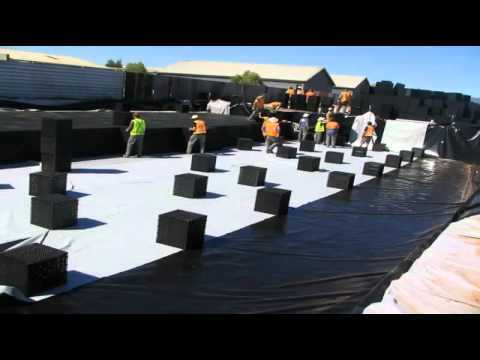 Elmich Australia's VersiTank® is a lightweight, modular, plastic sub-surface for stormwater infiltration or re-use storage tanks. These rainwater drainage modules are interlocked to produce maximum stability under high weight bearing load situations. Water and soluble nutrients are stored in an array of mini reservoirs and returned to soil media via capillary action for plant uptake. These drainage trays incorporate perforations in the channels to allow excess water to flow to outlets. The VersiDrain® 25P water retention and drainage system is a high strength perforated sheet that functions to both store and drain water in landscape applications.